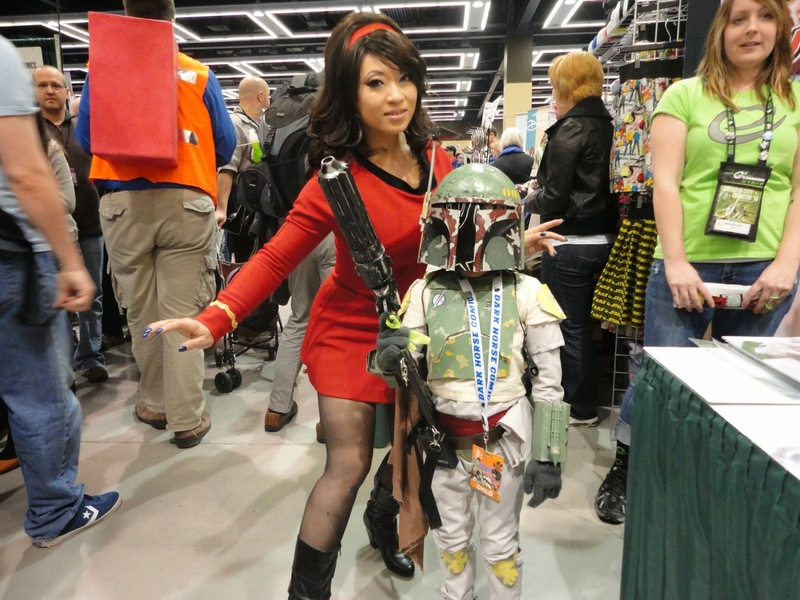 Emerald City Comicon is now over but there are plenty of memories from the Pacific Northwest's premier weekend of Nerdism and Geekery. 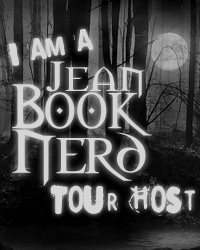 It all happened over three days on March 28-30, 2014. ECCC's approach of mailing out badges or picking up badges from outside vendors was a great idea! We were able to step inside the showroom on Friday without having to line up to exchange tickets to badges. The fun began right as we went through the doors of the Washington State Convention Center, located in the heart of downtown Seattle. 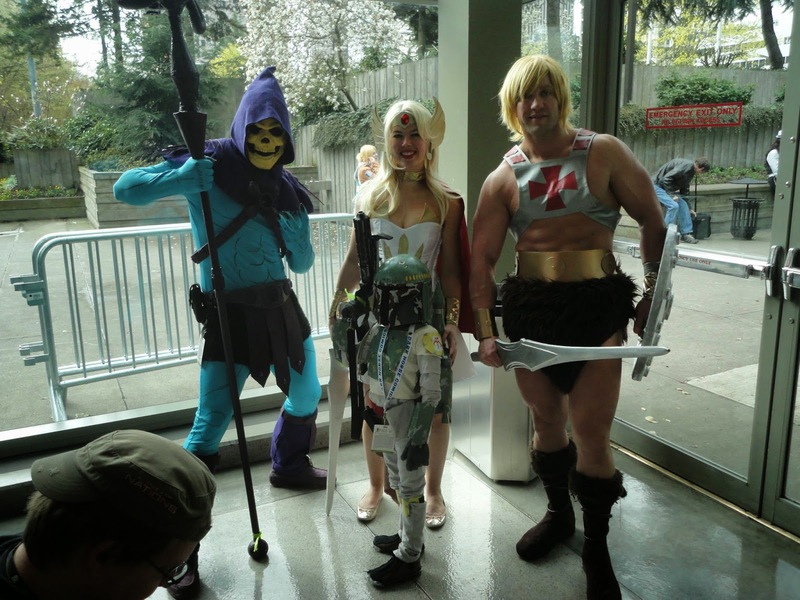 Security and the ECCC Minions were again very helpful and organized. Lines to go inside were done in orderly fashion. 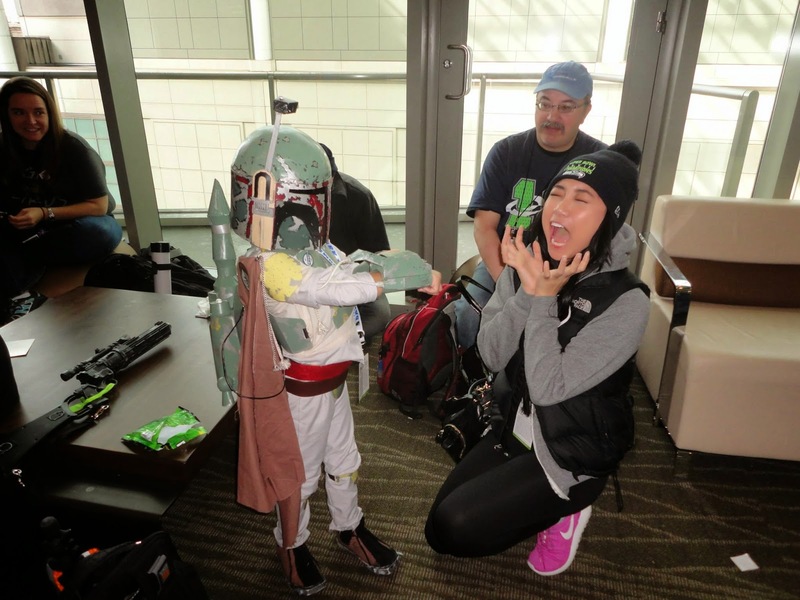 I've had my convention experience ruined before from terrible service but ECCC has never failed at that department. 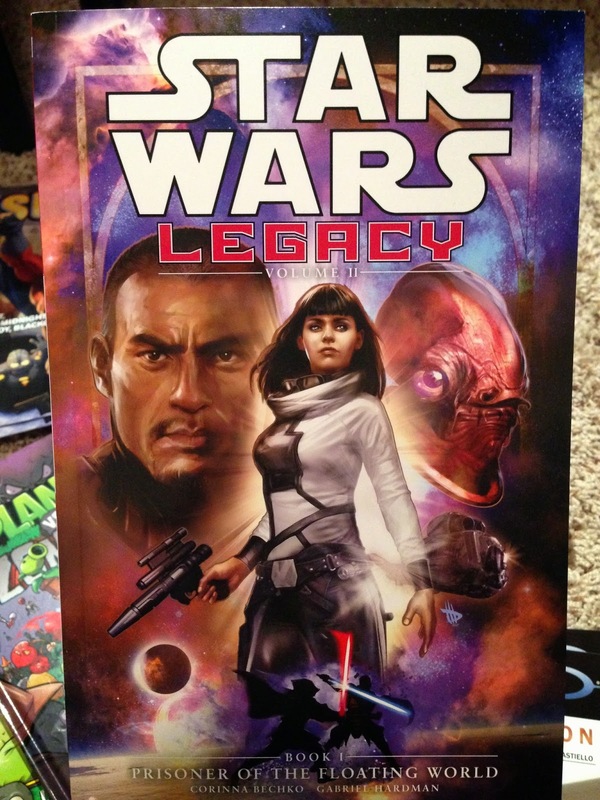 There were many exclusives to hunt for at this event and they were selling out quick. Lines to the ECCC merchandise zig-zagged like a complicated maze but we managed to get our hands on some of the exclusive items. 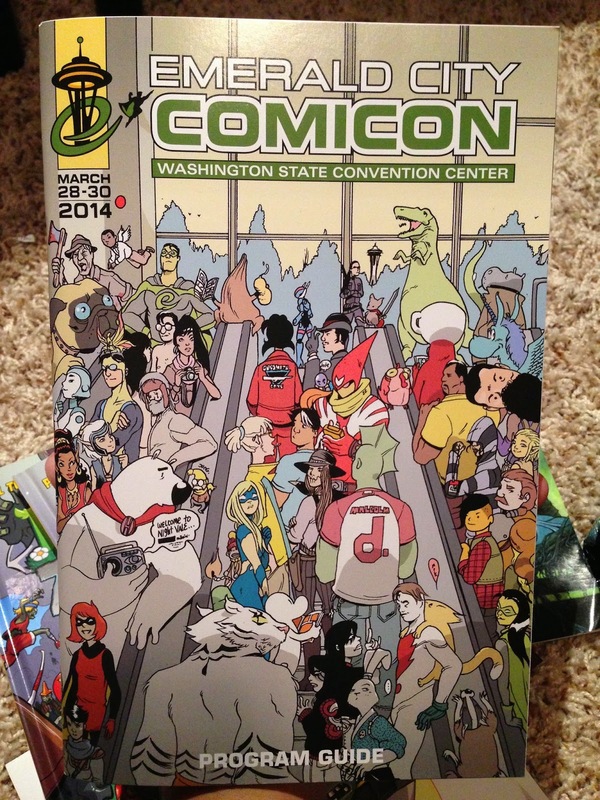 The ECCC program included a variant cover of The Walking Dead and a black plain lanyard to hold our badges. Of course I used my Darkhorse lanyard just because it looks way cooler. The showroom floor was packed of artists, vendors, and exhibitors. The booths were tremendously laid out for easy transport from one section to the next. 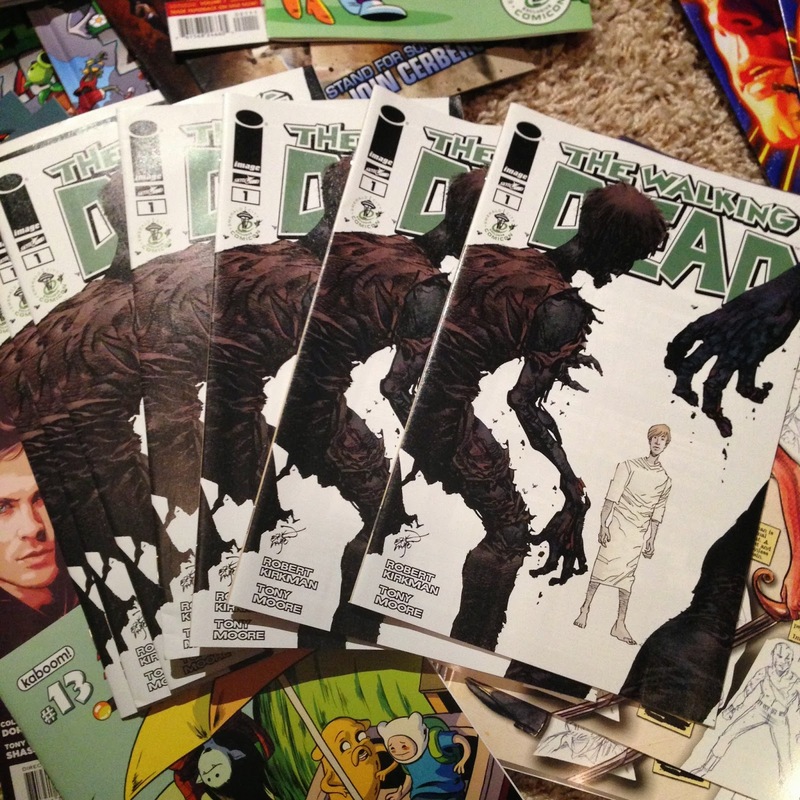 Some of the premier booths like Dark Horse, DC, and BOOM! 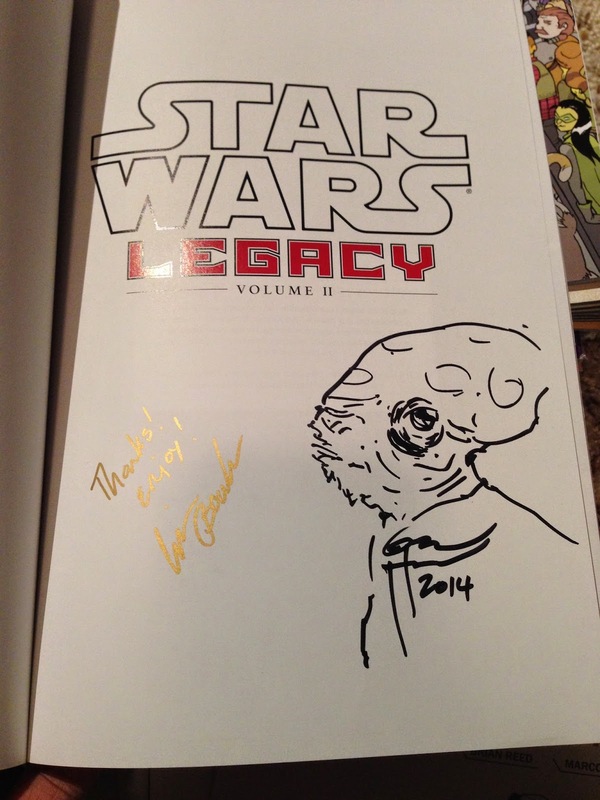 Studios provided lots of exclusives and awesome signings from their artists and writers. 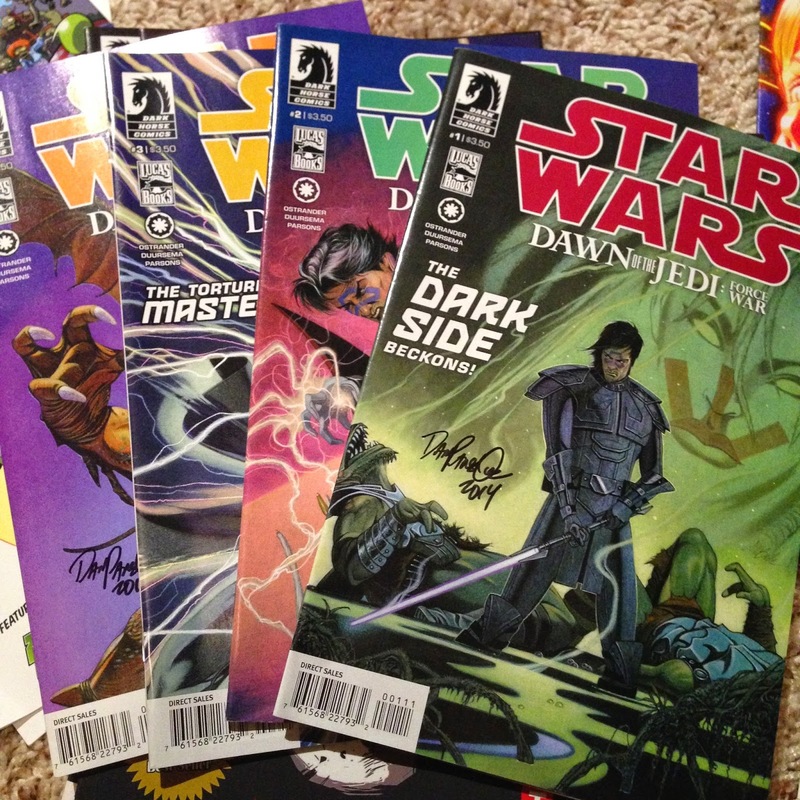 Here are several exclusives we managed to get our hands on. 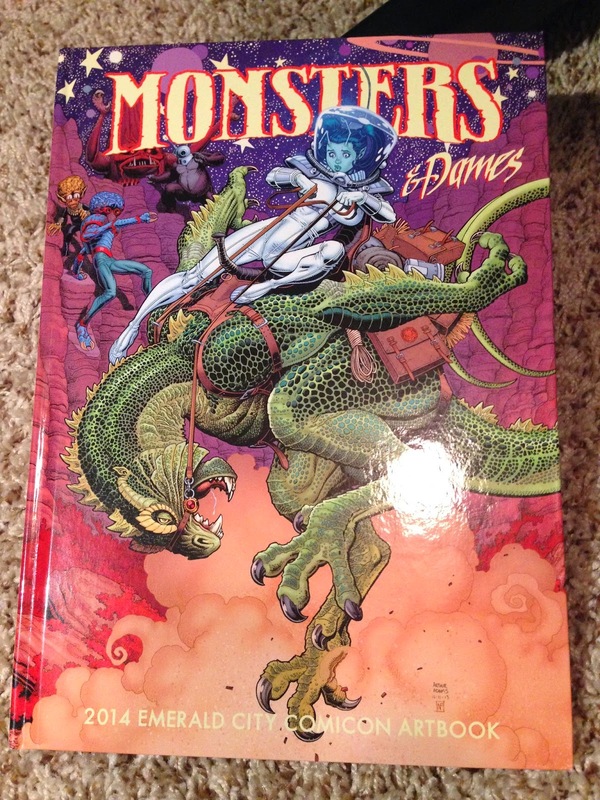 Monsters & Dames 2014 Artbook. 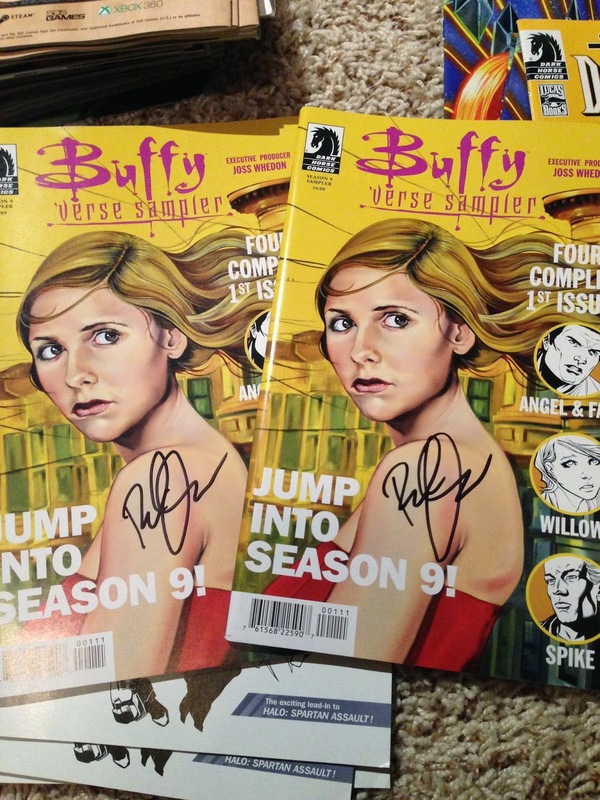 Limited to 1150 individually numbered copies (we got #579). 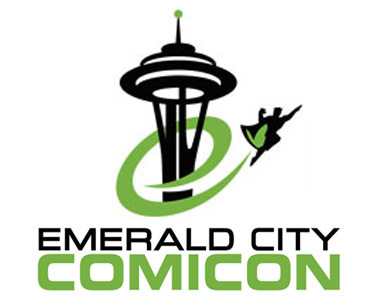 It is a collection of 80 pages of full-color, 9"x12"art featuring contributions from guests and artist of the 2014 Emerald City Comicon. 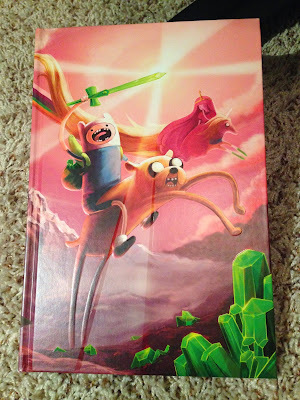 Adventure Time Mathematical Edition vol. 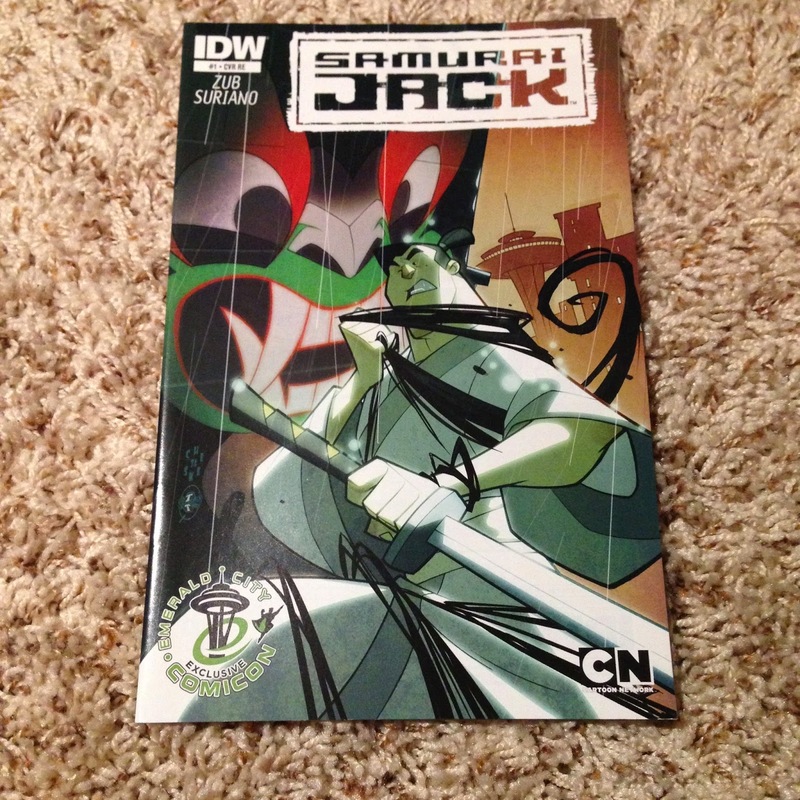 3 Hardcover ECCC Exclusive Variant. 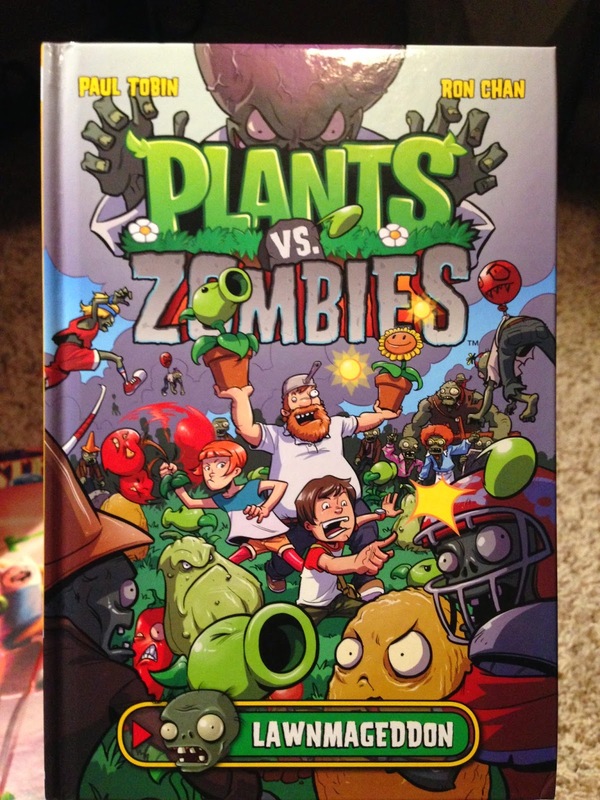 This limited 500 copies variant cover by EK Weaver is written by Ryan North and multiple artist contributors. Adventure Time #25 ECCC Exclusive Variant featuring a famous album cover of a very famous Seattle band. 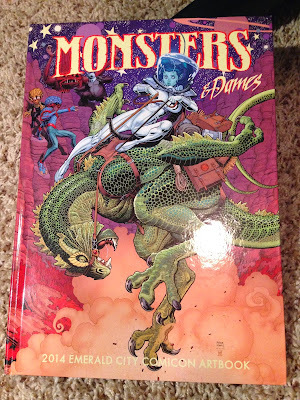 Cover designed by Ian McGinty, written by Ryan North and art by Dustin Nguyen, Jess Fink, Jeffrey Brown, Jim Rugg, Shelli Paroline, and Braden Lamb. Limited to 500 copies. 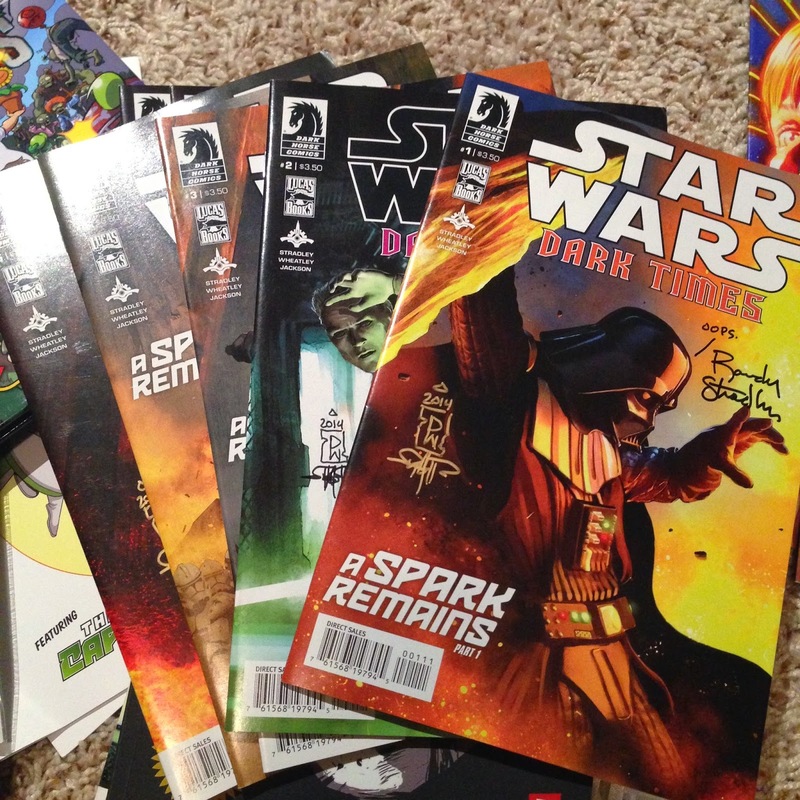 Here are a few comics that we were able to haul away. 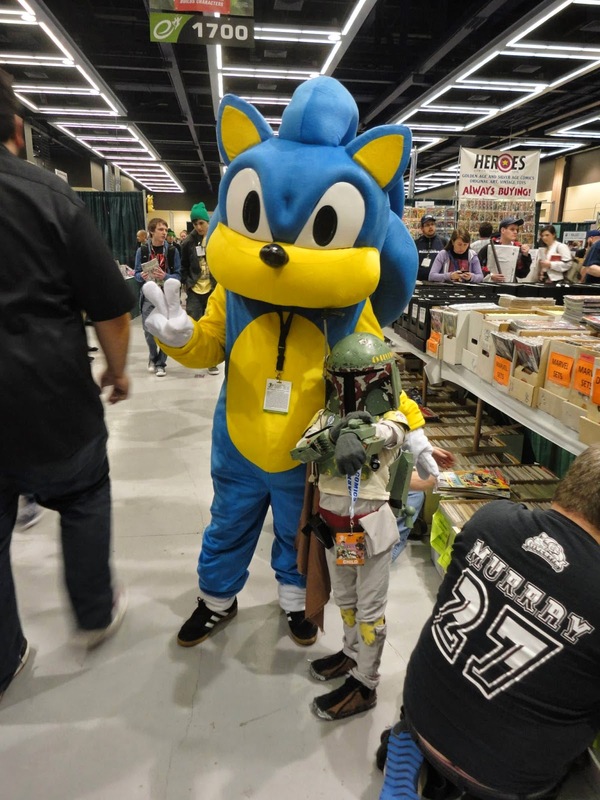 One of the most memorable experiences for any convention is the clever and unique costumes that con-goers wear on the showfloor. I totally appreciate and give much respect to the hours that each and every cosplayer put in to the craftsmanship of their costume. 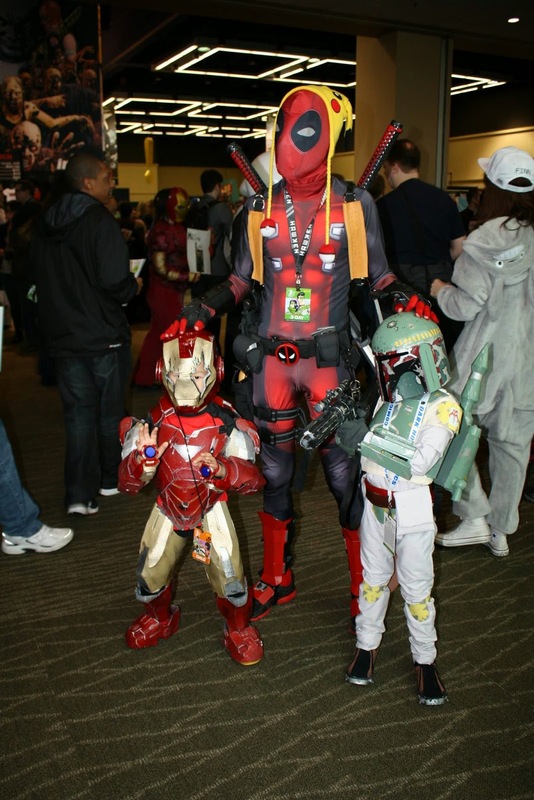 Even the abundance of Deadpools and Finn The Human cosplays were just a joy to see. 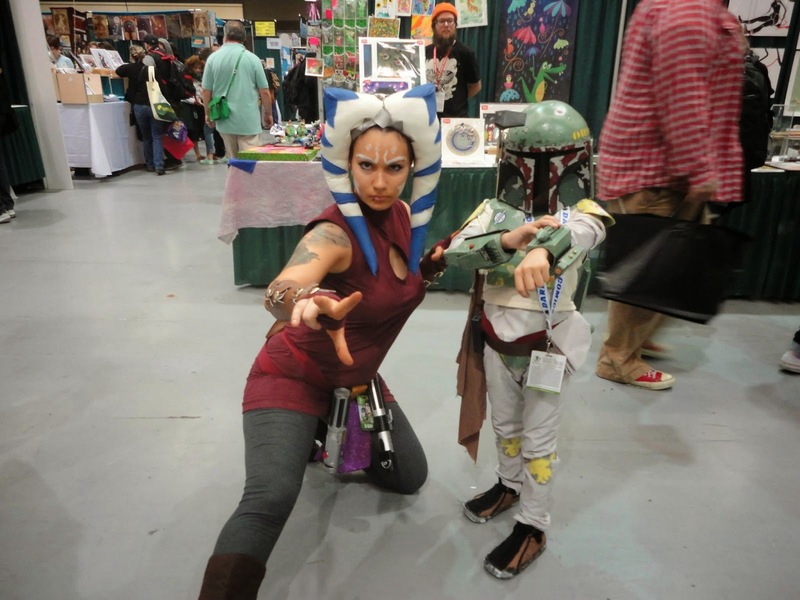 Some cosplays I've never seen were just tremendous. I saw a group of Survey Corps from the hit Anime/Manga, Shingeki no Kyojin, otherwise known as Attack on Titan. The Mikasa cosplay with the full 3DMG was simply amazing. And it wasn't just the young who were in full pledge cosplays, an elderly couple donned the garments of the spinach eating sailor, Popeye and his girlfriend Olive Oyl. Even Carl and Ellie Frederiksen from Disney/Pixar's UP made an appearance. 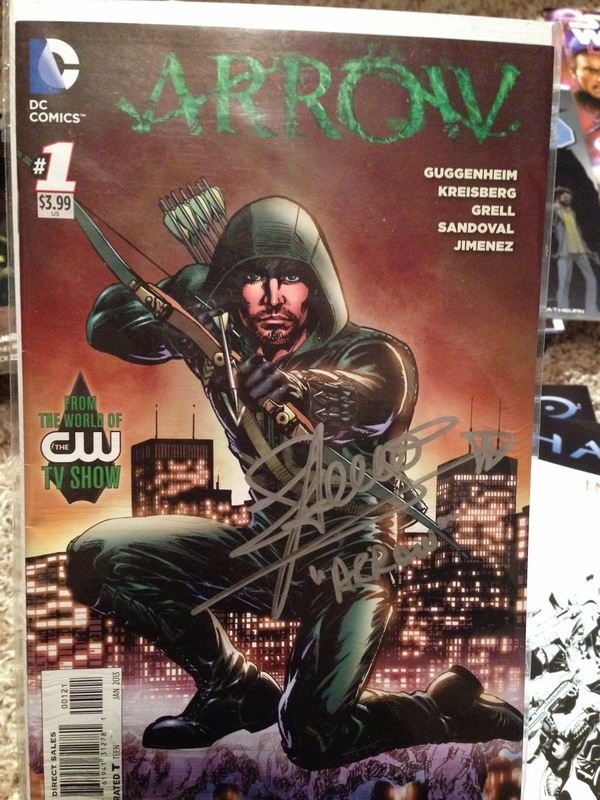 One of the main celebrity guests this year was Stephen Amell. He plays Oliver Queen on the hit CW show, Arrow. 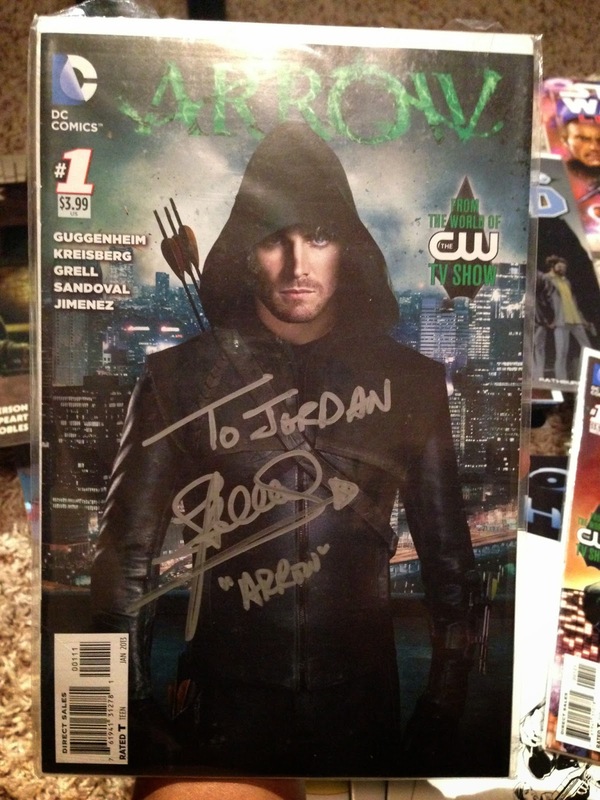 We had the pleasure to meet him last year at Wondercon during the DC booth signing with the show's cast. We are big fans of the character and also of the show so it was a no-brainer for us to see Stephen again. 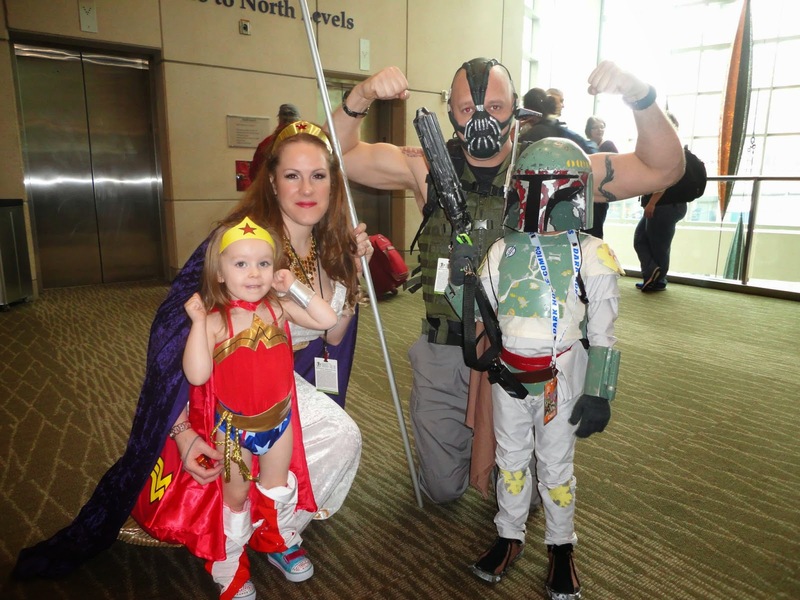 Lines to the photo-ops were handled professionally and the ECCC Minions made sure the whole experience fun and exciting. We were ecstatic when Stephen remembered my son from last year. Now that's what I call a real star! We also managed to line up for Kelly Hu's photo-op. I've always admired her work in films and voiceovers for cartoons. 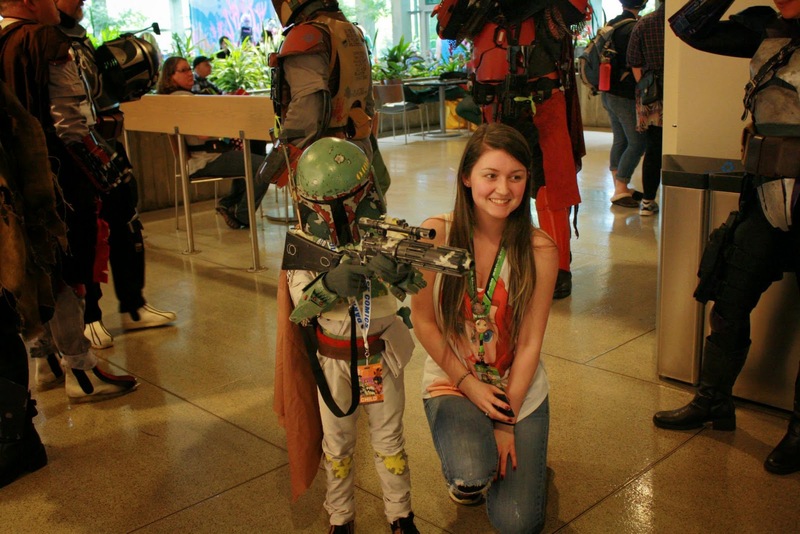 She was in awe at the sight of a mini Boba Fett and her expression in the photo totally showed it. The signing areas for ECCC was also well-organized. 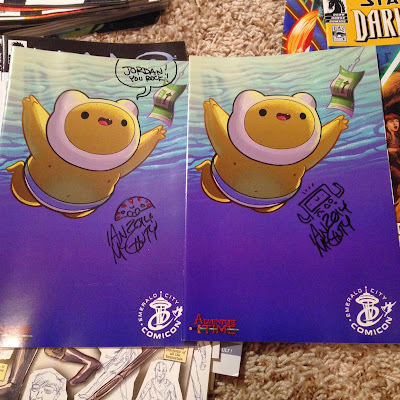 Each ECCC Minions knew where and what time a guest was signing which made navigating the crowded area so much easier. 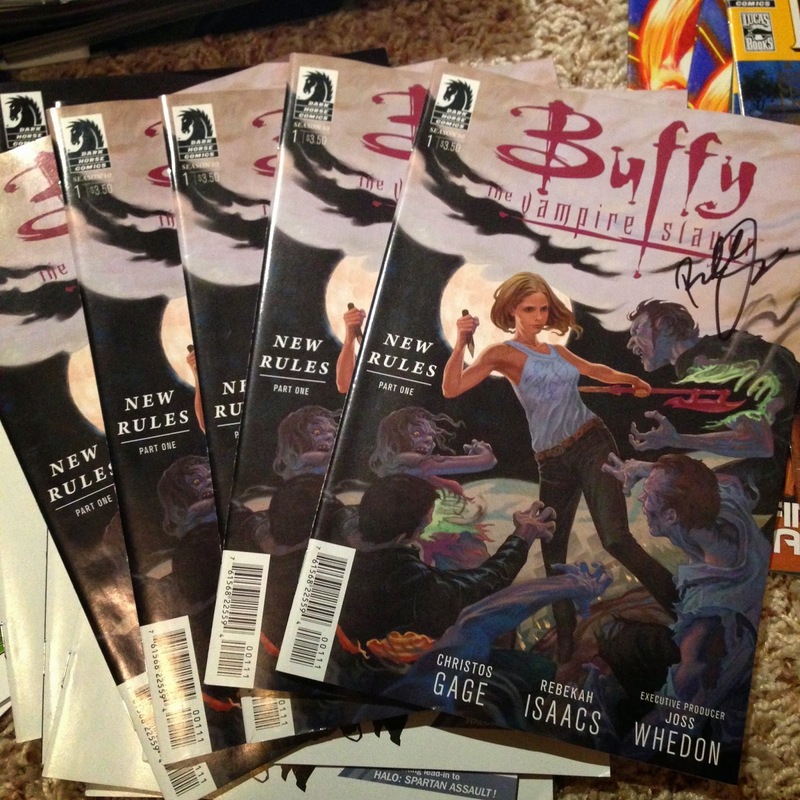 Lines to the signing table zig-zagged from the middle aisle and it was always kept in order. Thank you ECCC for a tremendous job! 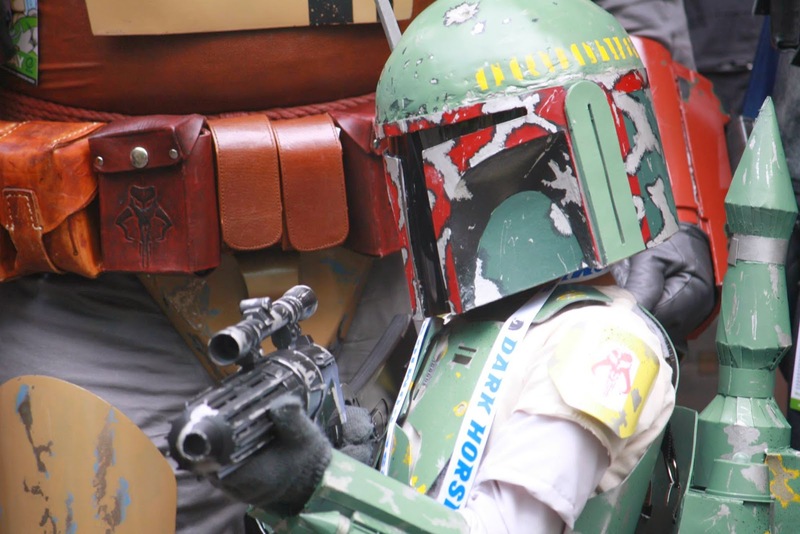 This year, my son went as Boba Fett once again. 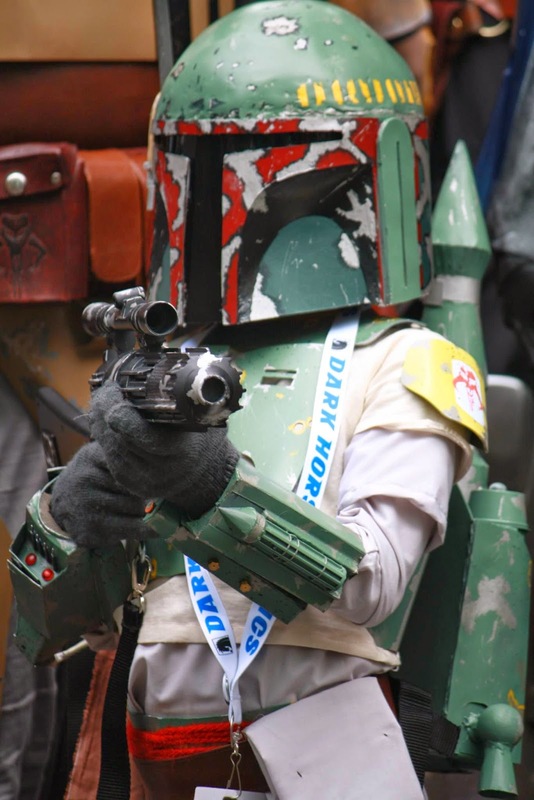 Unlike the year before, I tossed out all the store-bought garments and went full-pledge scratch-built the whole costume. 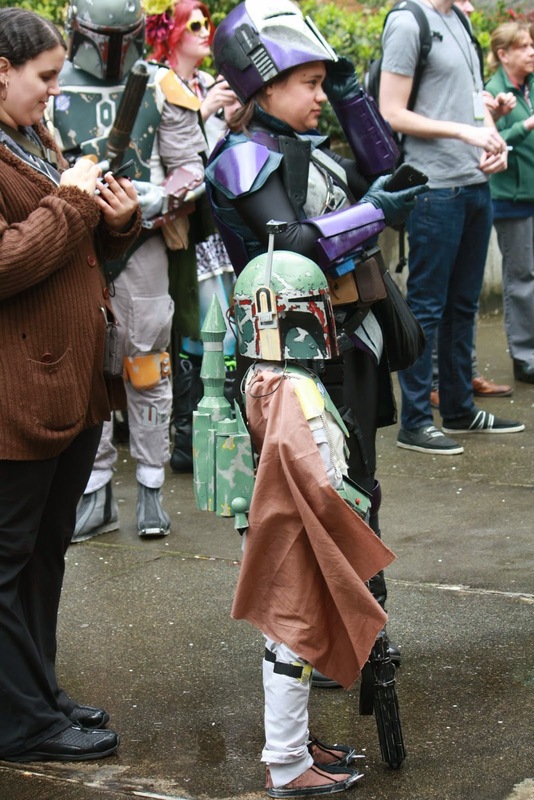 From the helmet to the body armor, the gauntlets to the shoes, and the bodysuit to the jetpack, the countless hours I spent building his Mandalorian Armor was all worth it. I've learned so many things from crafting it together and it made me more of an admirer of people who passionately do this thing called, cosplay. I also want to give a shout out to two people I met last year that I had the opportunity to meet once again. 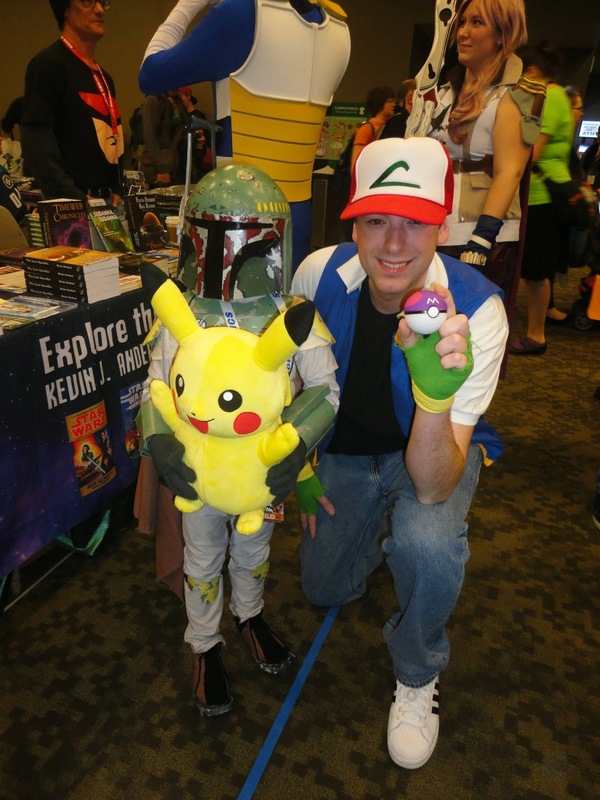 Rob V. - The passion you have for all things cool truly shows through how much you influence your sons. 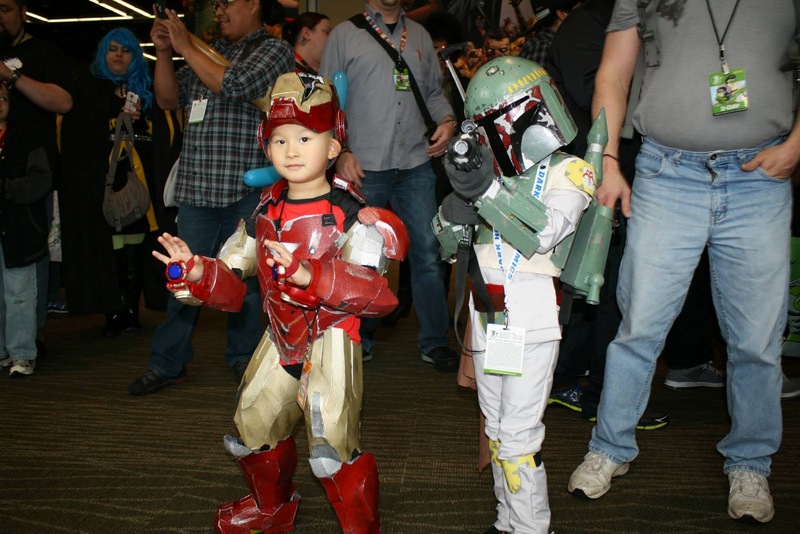 Mini Ironman was a star at ECCC. Erica G. - Thank you for liking all the silly pictures I post on Instagram. Your humble attitude shines genuinely bright just like an emerald. 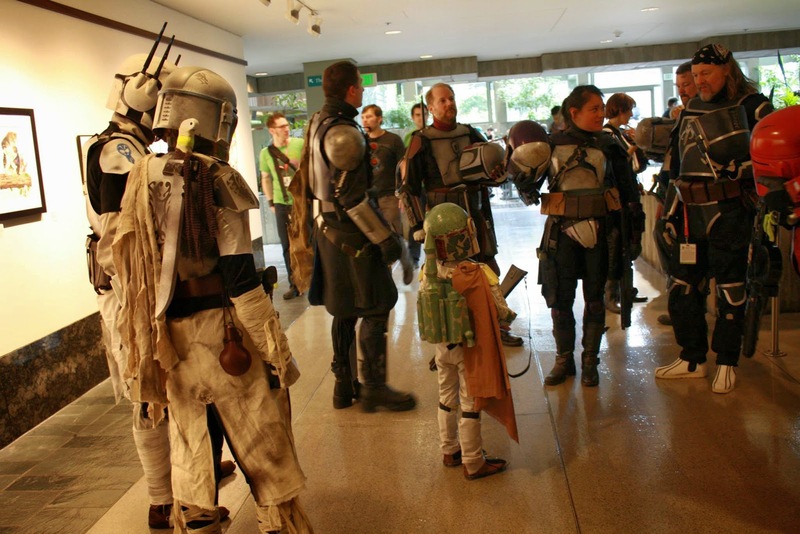 Through the magical communication of Facebook, my son was fortunate to be invited and be part of a photoshoot by the Official Mandalorian Mercenaries. 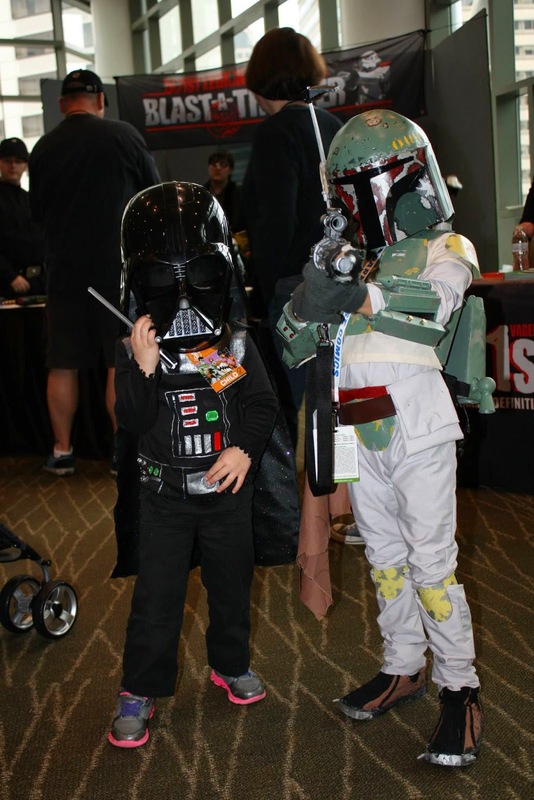 Seeing the little Mandalorian surrounded by other Mando Mercs was a topping on the cake for my overall experience at ECCC. Thank you, Talya R. and James B. We are forever thankful for your generosity and friendship. With Super Cosplayer, Yaya Han. 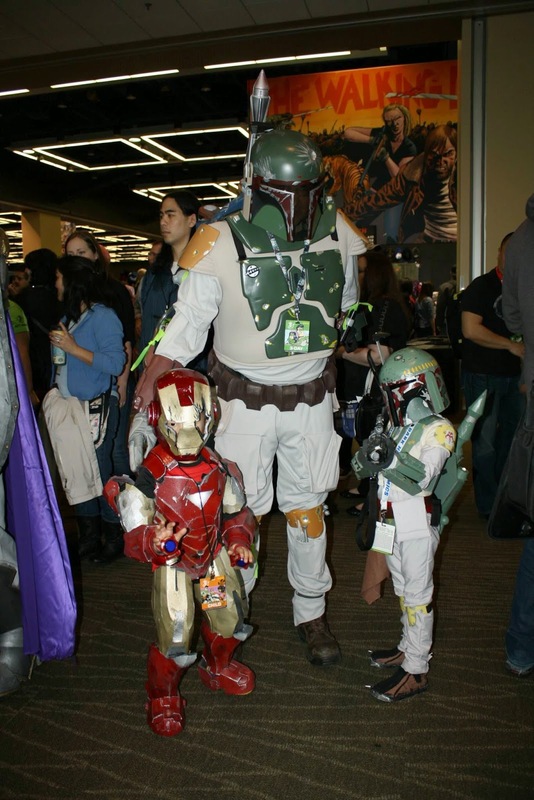 A family that cosplay together, stays together. 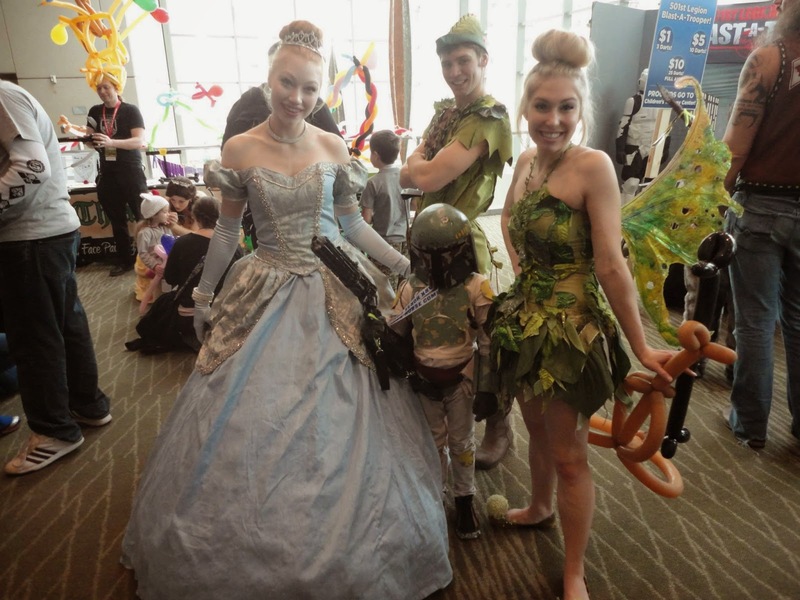 I love the epic photobomb by Peter Pan! Always willing for a photo-op. 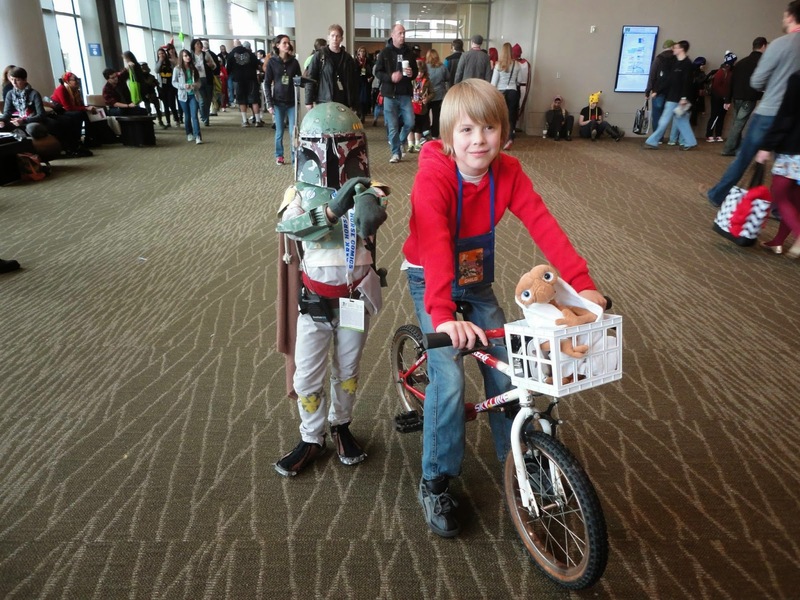 Author Frank Beddor and Scout Trooper & Ewok. We are already looking forward for next year. 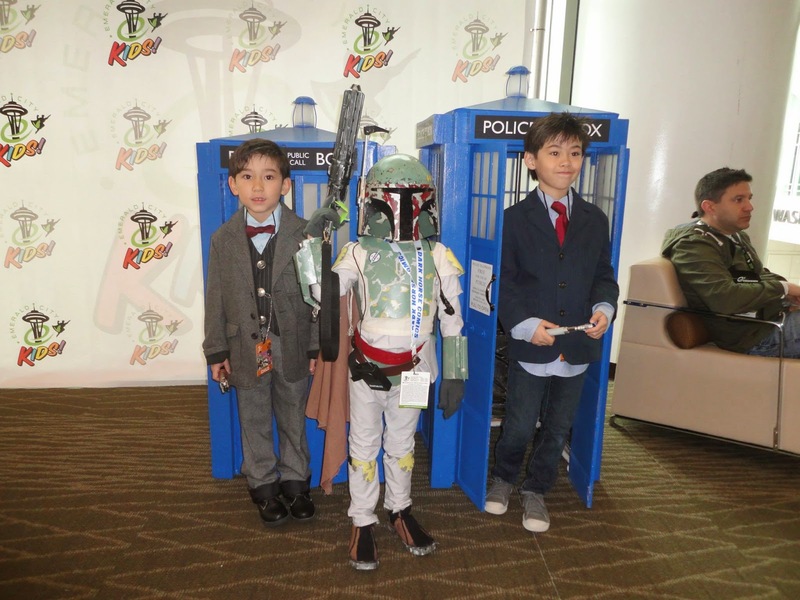 Emerald City Comicon is one of our favorite conventions to attend. The Pacific Northwest is very welcoming which is evident with all the nice people we have met in Seattle. 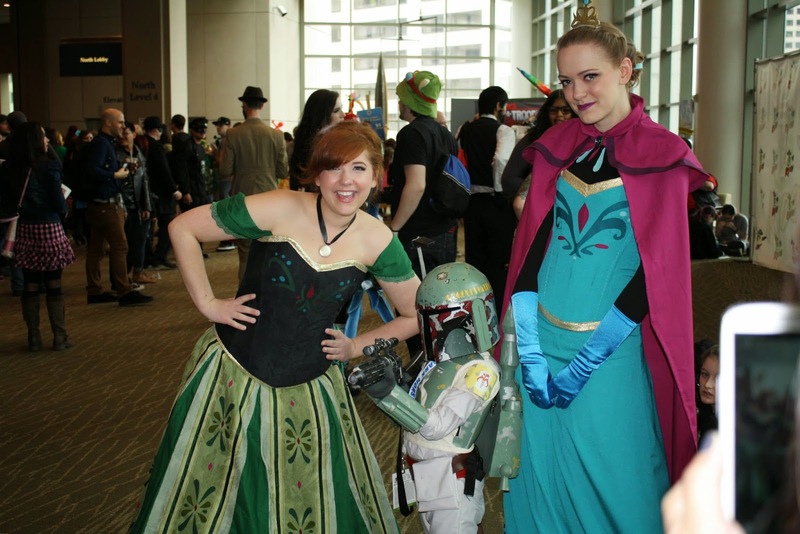 ECCC remains to be on my top lists of events that is truly organized well. Lines to booth exclusives, photo-ops and autographs were well maintained. 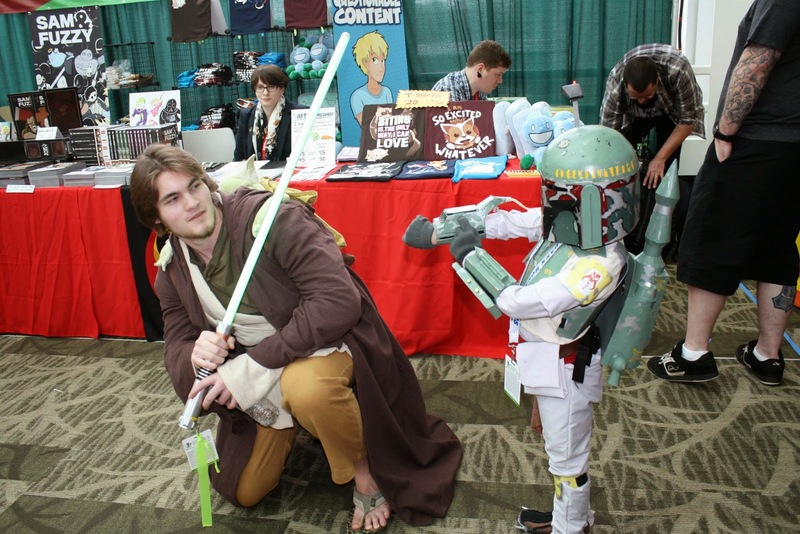 The panels, celebrities, guests, artists, fan tables, and exhibitors are amongst one of the best put together in a convention year in and year out. Thank you for a wonderful weekend in Seattle!